Quickly see and access tools stored inside these open totes. They have a large opening for easy loading and unloading and handles for carrying the bag between locations. The bags' pockets and compartments help keep tools organized. 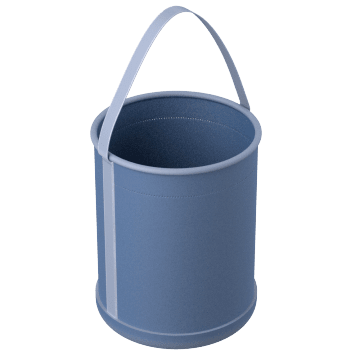 Attach these bucket-shaped totes to a rope or crane to deliver tools to workers in aerial lifts, bucket trucks, or other high areas. Make sure the weight of the tools in the bucket is below the bucket's maximum load rating. 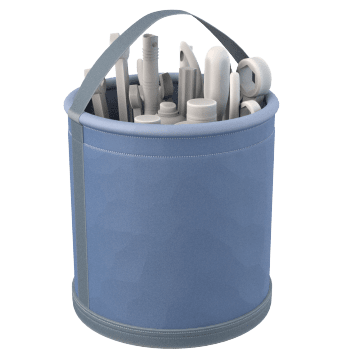 Store frequently used tools in the pockets of these totes to keep them upright and easily accessible. Additional tools and equipment that are not used often can be stored in the large open space at the bottom of the tote. 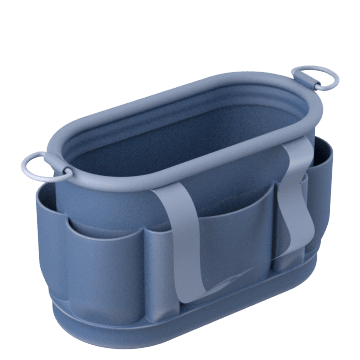 Commonly used by electricians, these compact totes provide quick access to tools when working in tight quarters. 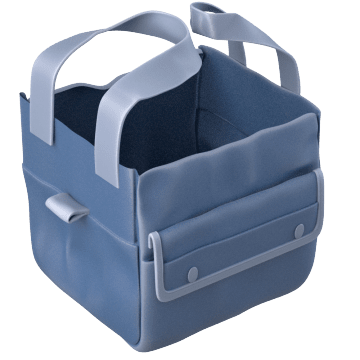 The totes have pockets and central compartments that keep tools organized and upright so you can grab them without looking while you're working.